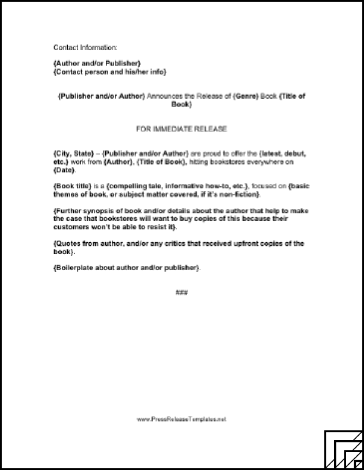 This collection includes all of the press release templates available on this site. This template is easy to download and print. Each free press release template is available in Microsoft Word (DOC) format. Just choose a press release template and download it. Open it in Word (or another program that can display the DOC format), edit it, and print your personalized press release. The $19 version contains all of the press release templates from this site. Save time and effort by downloading them all at once. You can pay using your PayPal account or credit card. You'll be able to download the customizable template within moments.